Hong Kong, July 8, 2015 – QIMA, a leading global quality control and compliance service provider that partners with brands, retailers and importers around the world to secure, manage and optimize their supply chain, today announces its 2015 Q3 Barometer, a quarterly synopsis on outsourced manufacturing and the quality control services industry. While the economy of China may be growing at its slowest pace in six years, global brands are readily expanding their supply chains to other low-cost destinations in Asia. Looking at July 2014 to June 2015 vs. July 2013 to June 2014, QIMA data shows a moderate 7% growth of product inspections performed in China – on par with the country’s GDP growth. That said, growth was staggering in nearly every other Southeast Asian country. 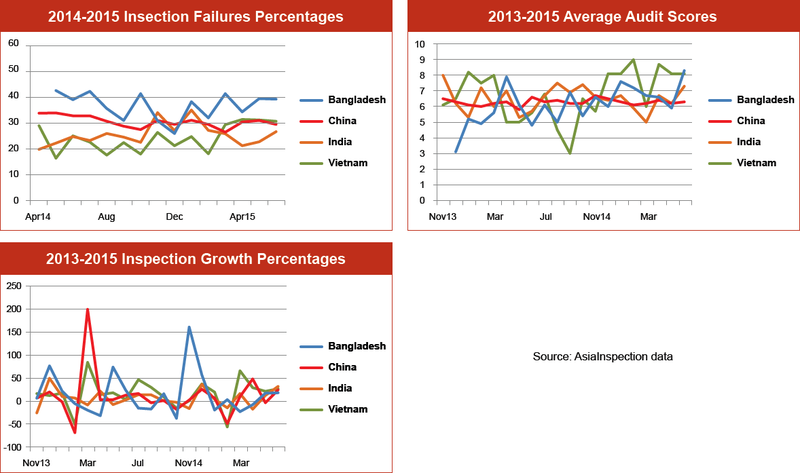 Inspections in Cambodia grew at an unprecedented 227% year over year; Vietnam, 172%; Myanmar, which in recent years has relaxed import restrictions and abolished export taxes, saw 133% growth; Indonesia, 114%; Thailand, 102%; Bangladesh, 81%; and even the less known Pakistan showed a 47% increase. While most of the Southeast Asia growth seems driven by apparel exports, there are notable exceptions. 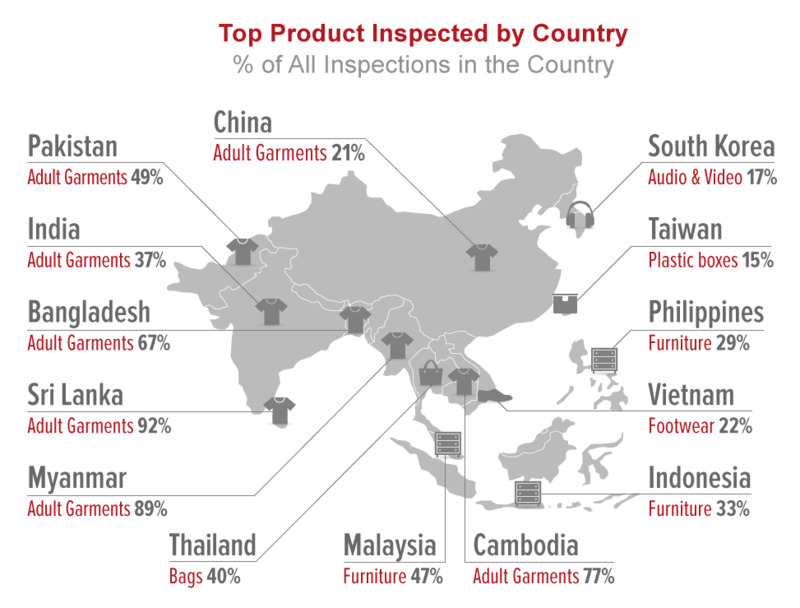 The most commonly inspected products by QIMA were furniture in Indonesia, Malaysia and the Philippines; footwear in Vietnam, bags in Thailand, and audio and video equipment in South Korea. “The overall trend in Southeast Asia, and the rate of growth outside of China is unprecedented,” said Sebastien Breteau, QIMA CEO. “While the upward trend has been present there in recent years, QIMA is seeing demand like never before. Two years ago, China represented 91% of inspections, and today its share is 78%.” While brands may be continuing to work with established partner factories in China, the data suggests new sourcing is taking place elsewhere. Vietnam is now the world's 4th largest garment exporter,1 and is working to increase its share of exports with major expansion plans for its garment industry and several free trade agreements – some already signed and some in the works (including the ongoing Trans Pacific Partnership negotiations).2, 3 Not only have inspections performed increased by 172% Y-O-Y, but ethical audit scores were the highest of the big four in Asia according to QIMA figures. Over the past 12 months Vietnam had a score of 6.7 out of 10, ahead of India at 6.6, China 6.2 and Bangladesh 6.5. Interestingly, product quality in the country well exceeded the Asia average, as measured by the acceptable quality level results of onsite inspections. Acceptable quality tolerances failed in 22% of inspections – better than that of Cambodia at 25%, India 28%, China b>32%, and Bangladesh 37%. This is likely a reflection of recent investment, and hence new infrastructure, coupled with strict oversight as buyers employ strict controls as they cautiously move into the country. China's revised Food Safety Law, to come into effect this October, introduces tighter production, shipping, and storage requirements, as well as increased penalties for violations. As the focus on safety increases in the food industry, AsiaFoodInspection saw a 49% increase in performed services over the past 12 months compared to the 12 months before, making food inspections QIMA's highest growth category. The most recent results of those inspections show a 37% failure rate in Q2 – a slight improvement on the Q1 figure (41%). QIMA (AI), a leading global quality control and compliance service provider that partners with brands, retailers and importers around the world to secure, manage and optimize their supply chain. With unique web-based quality control management, QIMA offers Product Inspection, Supplier Audit Programs and Laboratory Testing services for more than 4,000 clients worldwide. The 2015 Q3 Barometer is a quarterly synopsis on outsourced manufacturing and quality control services performed by QIMA each year (product inspections, supplier audit programs, and laboratory testing). 1. Vietnamnet. 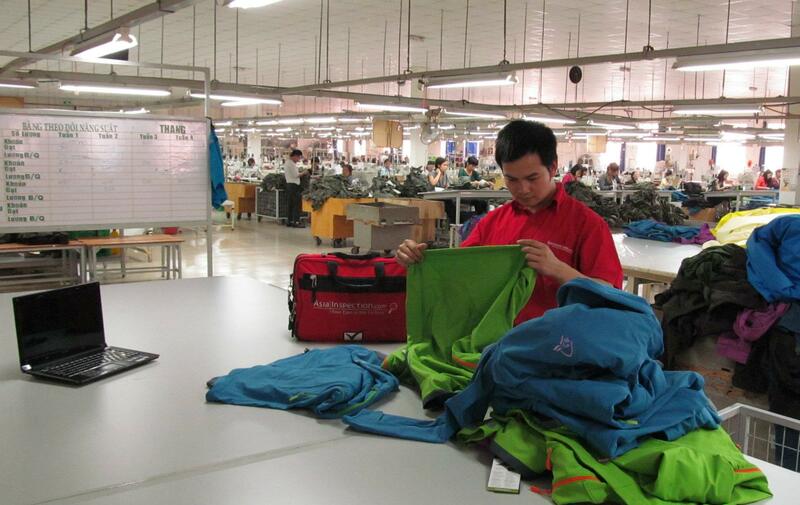 Vietnam becomes world’s fourth largest garment exporter. Jun 24, 2015. 3. Forbes. How Lower Tariffs Under TPP Could Send More Nike Jobs To Vietnam -- And Harm The Company. May 9, 2015. 4. Politico Magazine. TPP Will Help Workers in Vietnam Pursue Their Rights. Jun 8, 2015. 6. Intel. Intel Vietnam: “One of the Best”. June 12, 2015. 7. Xinhua News. 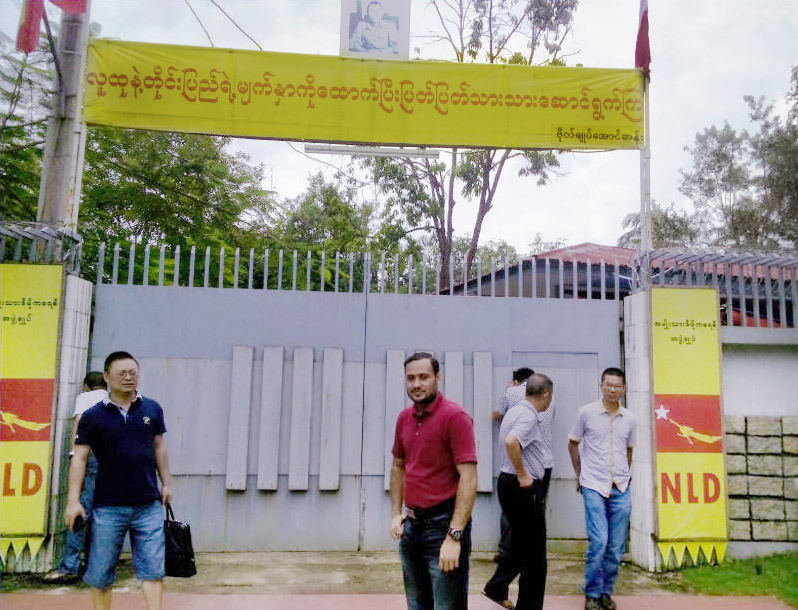 Myanmar to expand textile, garment industry for bigger economic growth. April 7, 2015. 8. REUTERS. Myanmar sees foreign investment topping $5 bln in 2014-15. Sep 16, 2014. 9. World Health Organization, Europe. Complex food chain increases food safety risks. Mar 31, 2015. 11. Ecotextile. 893 polluting textile units ordered to close in India. May 13, 2015. 13. MarketWatch. Inside China’s grand plan to fight water pollution. May 4, 2015.